This video delivers some wonderful news: great finishes don’t require you to have a dedicated finishing room, a Nobel Prize in chemistry, or expensive application equipment. In fact, you don’t need much more than a worn-out T-shirt to lay down durable finishes that will earn you glowing reviews. You’ll learn shop-proven application methods that virtually guarantee your success. And along the way, you’ll discover tips and shortcuts that will save you both time and money as you achieve your best-ever finishes. Fine finishes start with knowledge. This 50-minute video gives you the inside information you need to master both materials and methods. Apply oil (such as Watco) for a “close-to-the-wood” finish that invites touching. Choose and apply food-safe finishes. The truth about these finishes may shock you. Lay down a film-building finish without a single brush mark. Confidently fix common mistakes to get your project back on course—fast. 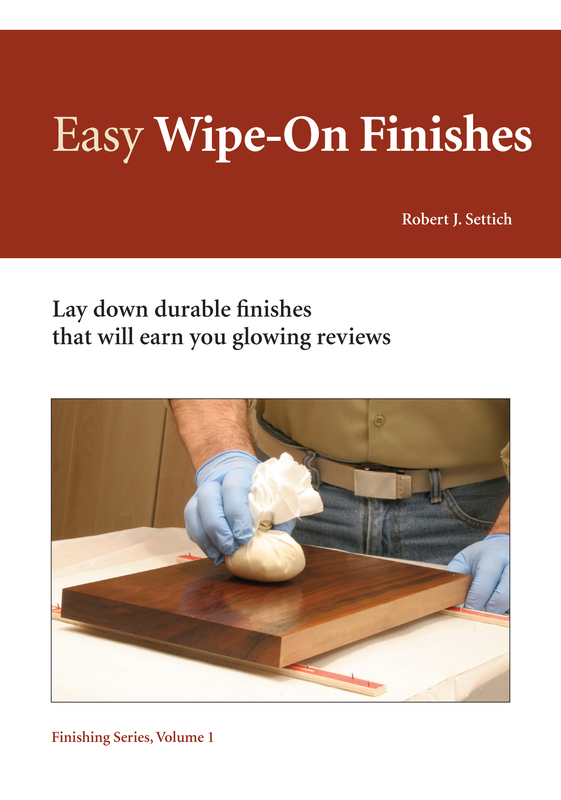 “Finish the finish” to get exactly the surface sheen and protection you want. A finish can make or break your woodworking efforts. Learn how to take all of your projects from so-so to warm glow. The disc also features a collection of bonus material in PDF format. View or print a chart that compares the various grading systems for coated abrasives (sandpaper). Or refer to a chart that explains the uses and scratch equivalents of color-coded Scotch-Brite pads.